T. J. Anderson III (English) received a promotion to full professor, and Tiffany Pempek (psychology) and Shelbie L. Wahl-Founts (music) received tenure and promotion to associate professor. Because Hollins is primarily a teaching university, each professor was asked to write a short philosophy of teaching. At Hollins I teach introductory and advanced courses on African-American Literature, U.S. Literature, Modern and Contemporary American Poetry, Performance Studies, and Creative Writing. It is my desire to use literature as a means of engaging students in a manner that allows them to live as critically thinking and productive global citizens. My interest in contemplative education has enabled me to develop techniques that incorporate Western and non-Western approaches to learning in order to reconfigure the dynamics of the classroom and my position as “teacher.” It is my view that adopting a pedagogy that calls attention to a more holistic embodiment of knowledge is necessary because I feel our continual reliance on technology is fostering a growing disengagement with human-to human-interactions. Thus, I seek to foster a cultural literacy that teaches students how to learn to negotiate ways of being through the multiple lenses of gender, class, race, and ethnicity. Anderson is the author of River to Cross, At Last Round Up, and Notes to Make the Sound Come Right: Four Innovators of Jazz Poetry, and has published both poetry and poem translations. 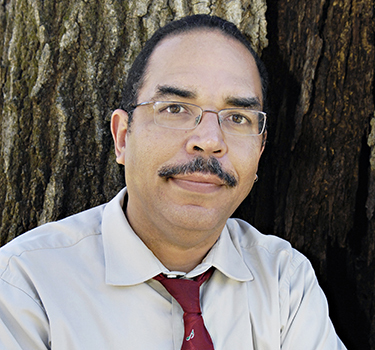 His research interests include jazz poetry, African-American literature, and the work of Aimé Césaire. He received his Ph.D. from SUNY-Binghamton. For me, the allure of psychology is the potential for scientific research to make a positive impact in people’s lives, a perspective that guides both my teaching and my scholarship on children and media. As an instructor, I strive to connect course material to the real-world issues that students will face in the workplace and life. I emphasize practical applications in my course design; for example, one assignment has students synthesize and translate research on child development to create practical recommendations for parents. The small classes at Hollins are ideal for implementing experiential learning activities shown to develop students’ abilities to think critically and creatively and communicate effectively. I also believe in the value of mentorship and regularly involve students in my lab to help them develop research skills and connect theory to practice. Working closely with students is one of the best things about teaching at Hollins. 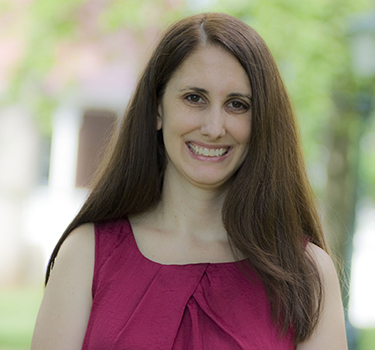 Pempek specializes in developmental psychology with an emphasis on early cognitive development. Pempek’s research interests focus on the impact of media on early development and the cognitive processes involved in children’s media use. She earned a Ph.D. from the University of Massachusetts-Amherst. I am the director of choral activities and associate professor of music. Slightly over half my teaching load is devoted to choral ensembles, while my remaining courses are traditional music department offerings (sight-singing, conducting, Broadway history) and a bi-annual university first-year seminar. Choir in the collegiate world is a strange mix of academic class and team sport. Ensembles demand individual work and progress by each singer, and yet they perform almost exclusively as a group. My primary goal is to foster a community—a team —that can learn together, grow together, and eventually make music together, all while singing for ourselves, our campus, and our surrounding area. I see choir as an opportunity for students of all majors and experience levels to create, to perform, to grow as individuals, to build connections with each other, to become more musically and culturally literate, and to experience the joy of singing with others. I aim to awaken and enliven the appreciation of music within my students and promote music as a lifelong passion. Wahl-Fouts is frequently invited to be the conductor for all-county and all-district choral festivals. She also serves as an adjudicator for honor choir auditions and district choral assessments. 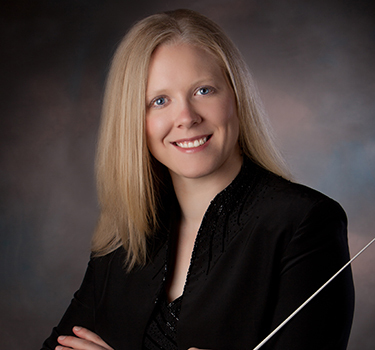 She received her Doctor of Arts in choral conducting from Ball State University. After nearly 12 years of distinguished leadership, President Nancy Oliver Gray announced on July 7 that she is retiring from office at the end of the 2016-17 academic year. Gray came to Hollins in January 2005, after serving as president of Converse College in South Carolina. Her list of accomplishments is long, including significant gains in enrollment, with the largest class of new students in 22 years starting in August. Under her guidance, the university has operated under no debt and a balanced operating budget for the past 10 years. She led Hollins during the largest comprehensive fundraising campaign in school history and the largest ever undertaken by a women’s college in the South, the Campaign for Women Who Are Going Places. The campaign successfully concluded in 2010 with more than $161 million raised, far exceeding the goal of $125 million. In 2013, Forbes magazine ranked Hollins among “America’s 100 Most Financially Fit Colleges.” In its list of College Financial Grades for 2016, Forbes issued Hollins an “A” rating. The grades measure the fiscal soundness of some 900 four-year, private, not-for-profit colleges with at least 500 students. In addition, Gray has overseen renovation of historic buildings and gardens on the campus and became a driving force in deepening Hollins’ commitment to environmental sustainability. In 2007, Hollins became a charter signatory of the American College and University Presidents Climate Agreement, and over the past nine years has dramatically reduced its carbon consumption. Gray is a native of Dallas, Texas. She and her husband, David Maxson, have seven adult children between them, as well as 10 grandchildren, and she told the campus community she wanted to spend more time with her family. In the meantime, she is eager to lead Hollins’ celebration of its 175th anniversary during the 2016-17 academic session. “Hollins has an exciting year ahead and I am thrilled to be welcoming our new and returning students as we celebrate 175 years of educating women,” she said. Lambeth stated that a presidential search committee is being established to recruit Gray’s successor. 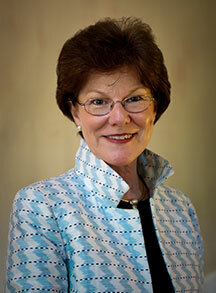 Look for more about Gray’s many contributions as Hollins’ 11th president in future issues of the magazine.